If you are like me then the probability that you are not drinking enough water is very high. I used to get up in the morning, have a cup of coffee, and drink a few mouthfuls of water in the morning, afternoon and evening. Experts say that we should drink at least 3 litres of water a day. When I looked at this I thought that if I were to try this I would drown? Who can do this? I talked to a nutritional expert about this and he recommended that I put several 600 ml bottles of water in places where I spent my day. Since doing this I have found it very easy to drink my 3 litres and guess what? I haven’t drowned! In fact I feel better. I am also eating less because when I drink water before a meal I feel fuller quicker. I’ve also cut down on my snacking because when I feel like a snack I drink water and feel full. Our brain is 73% water so poor hydration can affect how we function. Dehydration can reduce our ability to concentrate and can be the cause of many of the headaches you may experience. 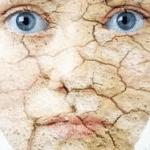 Dehydration also leads to the skin cells becoming loose and flaccid as well as drying out. 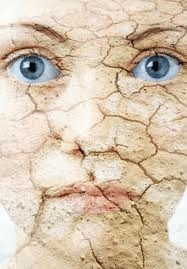 The result of this is that you look older and your skin flakes and loses its elasticity. At first drinking a lot of water was a pain and required some planning, but like all things once it became a habit it was no problem. What also helps is that if you can see the benefits of drinking more water you are motivated to change.